Congress General Secretary Rahul Gandhi had told United States ambassador Timothy Roemer that the growth of 'radicalised Hindu groups', which create religious tensions in India, could pose a bigger threat to the country than activities of groups like Lashkar-e-Tayiba. 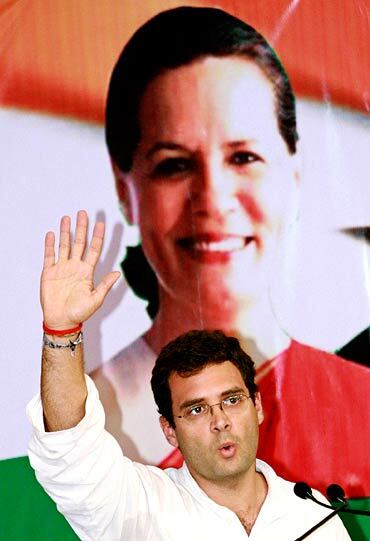 According to a secret US diplomatic cable from New Delhi released by WikiLeaks, the Congress leader shared his views with Roemer on a range of political topics, social challenges and electoral issues for the Congress party in the next five years. 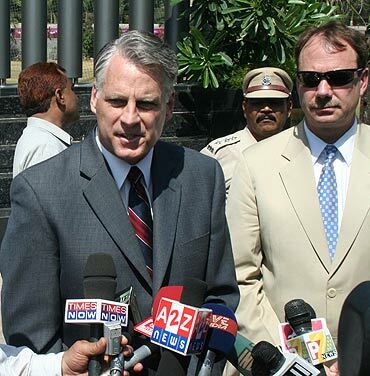 The cable contained details of Gandhi's conversation with the envoy at a luncheon hosted by Prime Minister Manmohan Singh at his residence in July 2009 in honour of visiting Secretary of State Hillary Clinton. "Responding to the ambassador's query about Lashkar-e-Tayiba's activities in the region and immediate threat to India, Gandhi said there was evidence of some support for the group among certain elements in India's indigenous Muslim community," the cable notes. "However, Gandhi warned that the bigger threat may be the growth of radicalised Hindu groups, which create religious tensions and political confrontations with the Muslim community," it said. The cable dated August 3, 2009, which described Roemer's luncheon encounter with Gandhi on July 20, 2009, noted that Gandhi was referring to the tensions created by some of the more polarising figures in the Bharatiya Janata Party such as Gujarat Chief Minister Narendra Modi. "The risk of a 'home-grown' extremist front, reacting to terror attacks coming from Pakistan or from Islamist groups in India, was a growing concern and one that demanded constant attention," it said. The cable signed off by Roemer says that Gandhi, who was seated next to the ambassador, was forthright in describing the challenges faced by the Congress party and the UPA government in the months ahead. The United States, which has accused WikiLeaks of stealing its secret cables, has refused to either deny or confirm the authenticity of these cables. "Over the past four years, he was an elusive contact, but he could be interested in reaching out to the United States, given a thoughtful, politically sensitive and strategic approach on our part," it said. Roemer spoke about the need to reach out to the young leaders of the country. "We will seek other opportunities to engage with him and with other promising young members of the new generation of parliamentarians," he said. "Gandhi mentioned that in the recent election, 60 members of the new Parliament were 45 or younger. 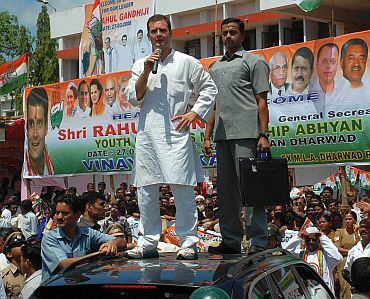 In a system long viewed as relatively static, the influx of new faces and the rising profile of young leaders like Rahul Gandhi provides us an opening to expand the constituency in support of the strategic partnership with a long term horizon," Roemer said. According to the cable, Gandhi stressed that his focus in the upcoming months would be on state assembly elections in Maharashtra and party building efforts at the local level. "He was busy trying to recruit more appealing candidates to run for Member of Legislative Assembly positions nationwide," Roemer said. "Gandhi's focus was on finding younger party members who would not carry some of the baggage of older Congress candidates. He aimed at rebuilding party structures in small towns and rural areas to attract voters and believed the main opposition BJP was vulnerable there," stated the cable. The cable noted that Gandhi did not seem to be as focused on electoral efforts in bigger cities, such as Delhi and Mumbai. 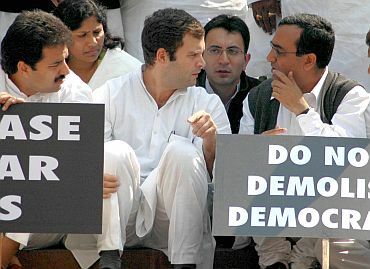 "Noting that the Congress party's victory in this past spring's parliamentary elections had put the United Progressive Alliance government in a comfortable position, Gandhi still expressed concerns about the numerous challenges regarding the UPA's ability to implement its programmes in Parliament," the cable said. 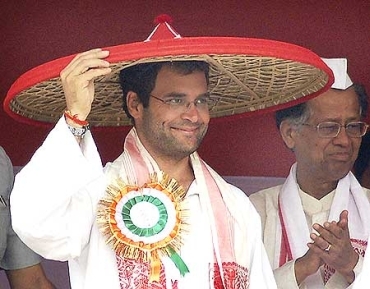 Citing Rahul Gandhi's move to take on Shiv Sena's 'xenophobic agenda', a secret memo from the US embassy in New Delhi in February this year said the young Congress leader appears to be becoming increasingly sure-footed in his political instincts. The secret cable released by WikiLeaks is dated February 22, 2010 and is a diary of the political events in the country from January 30 to February 19. The document said Gandhi's blunt words against the 'Maharashtra chauvinist' party, followed by his visit to Mumbai that came with a local train ride was a public relations bonanza for him. "He (Gandhi) first hurled some blunt words at the Thackerays and Shiv Sena's xenophobic agenda. These were widely and sympathetically reported around the country," said the cable. "He then took it a step further when the Shiv Sena issued 'Keep Off Maharashtra' threats by going to the Thackerays' home ground of Mumbai, where he continued to take shots at them," the cable says, referring to the political events of those days. "He (Gandhi) topped it off by showing the common touch when he made a last minute change in his itinerary to travel across town in a second-class train compartment," said the cable. 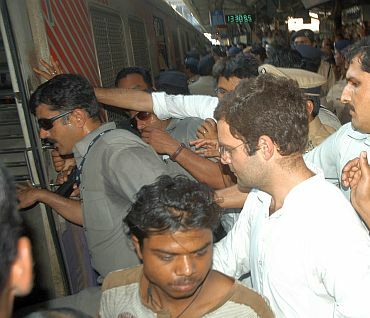 "All in all, a public relations bonanza for Rahul as the press gave wide coverage to his Shiv Sena bashing and his train ride. 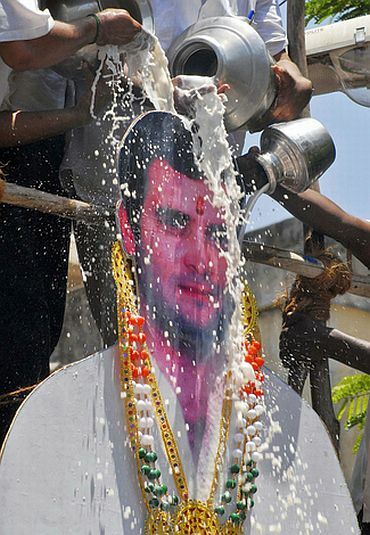 Forty Shiv Sena activists were detained by the police for Rahul's visit," the cable observed. Not to be outdone, the Shiv Sena has been grabbing headlines in recent days with its attacks on Rahul, Reliance Group's Mukesh Ambani and Bollywood icon Shah Rukh Khan, the cable said. It adds that the Shiv Sena has also been in a tussle with the Rashtriya Swayamsevak Sangh, the parent organisation of its ally the BJP, over the rights of north Indian migrants in Mumbai. "Media reports a rift between the RSS and the Shiv Sena over the Sena's verbal attacks on migrants from Bihar and Uttar Pradesh," says the cable. "Rahul Gandhi came to the defence of north Indians living and working in Mumbai during an ongoing visit to Bihar by telling the press that the Sena was irrelevant and that all Indians had a right to reside freely in India," it said. 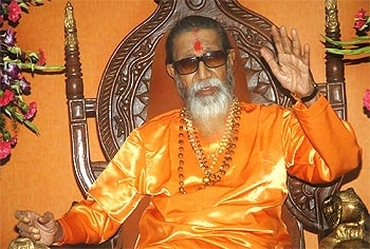 The document noted that Shiv Sena supremo Bal Thackeray responded by launching an attack on Rahul Gandhi's 'Italian Mummy', referring to UPA chief Sonia Gandhi. The cable also gives its comment on the appointment of Rajiv Satav as the new Youth Congress chief by Rahul, which indicated that the Congress leader was interested in enhancing the party's position in Maharashtra from where Satav came. "Party General Secretary Rahul Gandhi hand picked Satav for the job, surprising political observers who had expected an election for the top IYC post as per Gandhi's previous statements about making the party 'more democratic,'" it said. "Contacts speculate that the appointment of Satav -- a native of the state of Maharashtra -- is intended to enhance the Congress party's position in the state," it said. It noted that a Congress-Nationalist Congress Party coalition governs Maharashtra, but the partners have been feuding over rising food prices. The cable notes that the Congress has repeatedly tried to shift the blame for rising prices to NCP chief Sharad Pawar, who is also the agriculture and food supplies minister in the UPA government. "Gandhi's IYC pick may signal that Maharashtra is the next data point along the Congress party's trend of going it alone in some large states where it had previously been reduced to a junior partner or a non-entity," it said.